The Department of Veterans Affairs (VA) is working to improve resources for employers wanting to connect with Veterans, transitioning Servicemembers, and their spouses who are looking for career opportunities now. 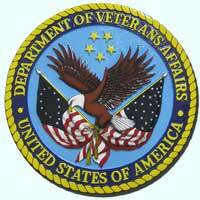 VA, along with federal agency partners created the Employment Center to replace the Vetsuccess.va.gov website. The Employment Center on eBenefits was created to provide employers with the ability to make a hiring commitment, post jobs, and search a bank of Veteran resumes. It will serve as the single authoritative source for connecting employers to Veterans, transitioning Servicemembers, and their spouses. Employers are encouraged to create a free profile on the Employment Center by visiting https://www.ebenefits.va.gov/ebenefits/employers. Profiles allow employers to search a resume bank of job seeking Veterans and report Veteran hires. The Employment Center will make it easier for applicants to connect to Veteran-friendly employers like you. If you need any assistance with this process, you can find contact information on eBenefits, under Contact Us. VA encourages all employers to check out the new Employment Center and start sourcing Veterans today! Multicultural Enterprises Closing the Gap, Increasing Success If your GFE’s are not measurable, are they real?